The trial of one of the most high-profile politico-financial corruption cases ever seen in the Côte d’Azur begins in Marseille. It has taken justice an additional 7 long years to finally clinch the case known as “clean hands”, the sprawling politico-financial dossier which the criminal court is addressing this week. 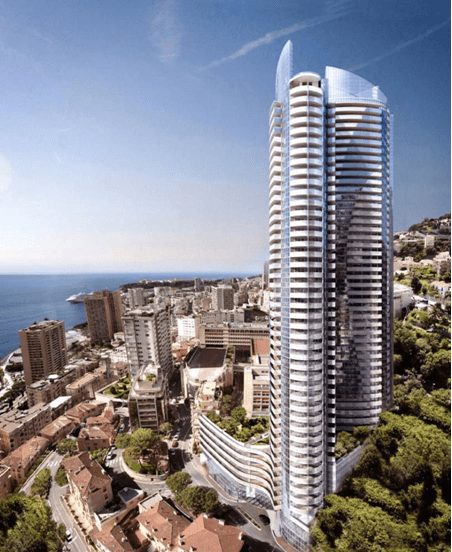 The 11 defendants have 2 weeks during the trial to explain themselves on the charges of “corruption”, “money laundering”, or even “tax fraud.” Among them are the Monegasque developers of the highest tower of the Principality, Claudio and Paolo Marzocco, the mayor of Beausoleil, Gérard Spinelli, the wife and one of the daughters of the late senator-mayor of Saint-Jean-Cap-Ferrat, René Vestri, as well as Côte d’Azur entrepreneurs of well-established businesses, and also Ange-Roméo “Lino” Alberti, who is at the heart of this vast dossier that includes several chapters. The first part relates to the construction of the Odeon Tower, the highest building in the Principality with 49 floors, 170 metres in height. High enough to cast a shadow over Beausoleil, the small community next door to this 100% Monegasque building programme. The mayor of this Municipality received bribes for not impeding the construction, completed in April 2015. At least this is what was detailed in the accusation, which led to the mayor being placed in temporary detention for four months. Nonetheless, the elected official of Beausoleil has always denied any charge of corruption. To the (almost) the Island of Billionaires. Chapter two takes place at the almost Island of the Billionaires, Saint-Jean-Cap-Ferrat. But one of the principle protagonists remains Lino Alberti, officially retired. He had sold his shares of the company BTP that bore his name, leaving him with enough to never go without. He began his career as a logger, before becoming a waiter. From this time in his life, Lino kept several contacts. It is moreover from looking into one of them, a Neapolitan man believed to be the ambassador for the Camorra in the Côte d’Azur, that the investigators managed to find out the truth. The judicial police followed Lino’s every movement, listened to his conversations, and gradually, the investigation led to Saint-Jean-Cap-Ferrat and its mayor. Senator Vestri is an old friend of the Italian-Monegasque businessman. He trusted Lino and wasted no time in asking for a few “favours”, such as driving one of the Vestri daughters all the way to…Switzerland. It is via this path that the investigators uncovered a maze of offshore companies and accounts. Over the coming days the Magistrates will attempt to track the money to try to find out its origin. For at least one of the Marzocco’s solicitors, Mr. Luc Brossollet, the accusations do not hold. In any case, Claudio and Paolo firmly contest the charges, claiming they have not tried to corrupt anyone. Despite this, Lino Alberti states that he was asked by them to give money to the mayor of Beausoleil, Spinelli, but his statements are dismissed by Brossollet as incoherent and contradictory. Instead, the brothers claim the amount they gave Lino, 250,000 euros, was as a thanks for his help in negotiating the cost estimate relating to the construction of the Odeon Tower. Where did the money come from? This is the question asked of the family members, his daughter Olivia, her husband, and the senator’s widow Lucette. The latter is being charged with money laundering. The defendants insist that it has nothing to do with the Odeon case, and that it has nothing to do either with the late senator-mayor. How did the 3 million euros end up in his daughters’ accounts, and the 500,000 euros discovered in a safe in Lucette’s name? The question is, does the money represent a bribe, a result of corruption? Mr. Gerard Baudoux, their solicitor, insists that there is no evidence of this. Baudoux states that the money came from the savings of the family, as Vestri had worked for 50 years in business, and that some of the money came from their wealthy families or for donors. The court calls this into question. Did Alberti corrupt the mayor of Beausoleil? He does not report having given cash to the mayor of Beausoleil? Ms. Marie-Alix Canu-Bernard also insists her client is innocent, as the envelope of money was found at Mr. Alberti’s home and therefore Spinelli never touched it. Canu-Bernard questions how there can therefore still be these charges aimed at Spinelli, particularly in light of how he was treated regarding his four month detention. She echoes the opinion of Brossollet, that the statements made by Alberti are contradictory and inconsistent. As the weeks unfold for the 11 defendants, further details of the dossier will emerge at the trial and it will be for the judges to determine whether the charges of corruption truly stand up to scrutiny.